In 1999 when we left New York City and moved to Summit County, we were coming for one season, but like many, we ended up making it our home. Contrary to what some might believe, our reason for staying was not summer or winter pursuits, or even the beauty of the landscape. It was the palpable sense of community and the values people demonstrate day to day. That strong sense of community and caring, where people go out their way to help a neighbor, friend, firefighter or distant acquaintance during good times and even more importantly, hard times, bare up to life’s challenges. Whether that challenge is an injury, cancer, depression, need for a babysitter, a ride from the airport, a lost dog or the funds to travel to Carnegie Hall, the way we come together to raise each other up made Summit County the place we wanted to call home. For our family, 1A is the very essence of these deeply held community values — helping friends and neighbors to access mental health resources; helping a parent, neighbor or co-worker access child care without breaking the bank; improving our ability to recycle and take care of the waste we generate; and protecting our homes and communities from the devastation of wildfire. What could be more local or more right in a community that prides itself on how we take care of one another? 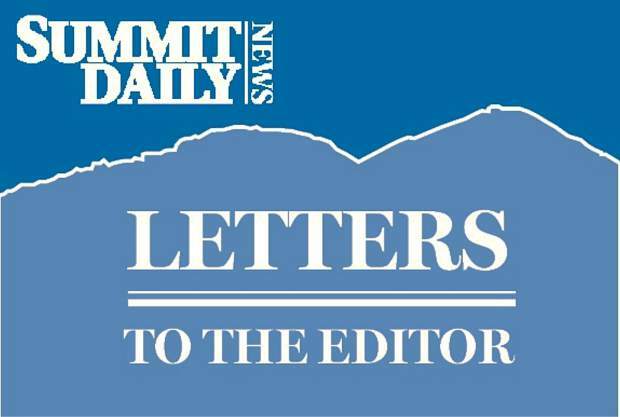 If ever there was a place it is now — put divisive politics aside, put your annoyance at bundling these important causes aside and let’s do what Summit County does best and take care of our own. Join our family and Vote YES on 1A. Let us show the world how a community takes care of itself. We have been bombarded with all kinds of support for 1A. The SDN endorsed it in its Oct. 17 issue. The FIRC board has done so in several articles. Several large endorsement ads have appeared. Susan Knopf in her column on Oct. 18 has a half page with a large portion devoted to 1A. 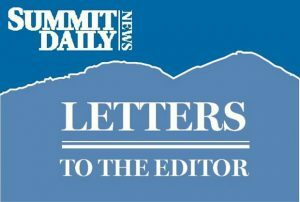 She says, “It costs less than $250 per year for an average Summit County home valued at $726,000.” That’s me, exactly. This is the same strategy used by car salesmen to get you to buy more car than you can afford. They focus on the monthly payment — in Susan’s example, only $2.83/month per $100,000 in property value. See her article for these figures. But wait, vote yes for 1A now and get a bonus set of Gansu knives! They don’t want you to look at the total cost over the life of the loan (tax). But I’m going to lay it out in an effort at full disclosure. For my home, that amounts to an additional tax of $2,500 over the 10-year period of the “temporary” tax. Of course there’s no such thing as a temporary tax. I don’t know about you, but that’s real money. 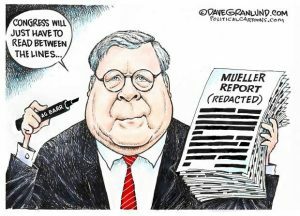 It’s my money and your money. Have you noticed that absolutely nothing has been said in support of the county tax grab of roughly $1,700,000 per year for “maintenance and infrastructure” included in this bill? Isn’t prudent business practice to set aside a sinking fund for things that inevitably wear out? According to the column written by Christine Armitage last week, the county has a surplus in its general fund of $19.2 million. Why do they need $17,000,000 more over 10 years? Susan Knopf says, “People complain the county commissioners shouldn’t have lumped so many things together.” Why did the supporters of this amendment do this? Because they know all five wouldn’t pass on their own merit. A vote for one is a vote for all. We have been given a no-choice scenario by the commissioners. If you like any of these issues you must vote for ALL of them. Take it or leave it. I will leave it and vote NO.